The primary consideration when working on outdoor wiring is to provide both mechanical protection (to prevent damaging the electrical installation and to protect you from accidental contact with live circuits), and to protect the installation from the elements, like rain, snow, and ice. As with any electrical project, every precaution should be taken to protect yourself and others from electrical shock; the most important precaution being to never work on live circuits. Ensure that the power is off before working on any electrical circuit! Refer to our safety fundamentals page on our website, and any other useful safe work practices resource at your disposal. 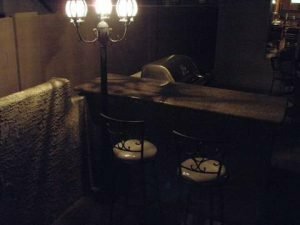 Any and all outdoor wiring codes must be followed, permits obtained, and inspections performed as required. To provide a safe amount of light to traffic areas such as stairwells, steps, sidewalks, gates, outdoor cooking facilities, etc. 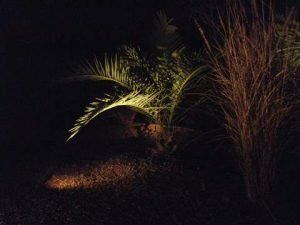 To illuminate and accent plants, trees, or shrubs, architectural features, artwork or pools and spas. Decorative lighting can also be functional. For outdoor and underground wiring, you can use cable suitable for exposure to the elements such as NMWU-90, or direct burial cable of the appropriate rating, conduit (both metal, plastic, or liquid-tite flexible conduit) and wire, or a combination of both. 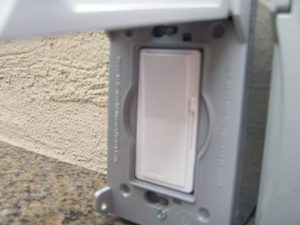 It is important to check both national and local code rules for outdoor wiring installation requirements. Ground fault circuit protection is required for most outdoor electrical circuits so again, check with the local electrical authority for the requirements for your particular outdoor wiring project. 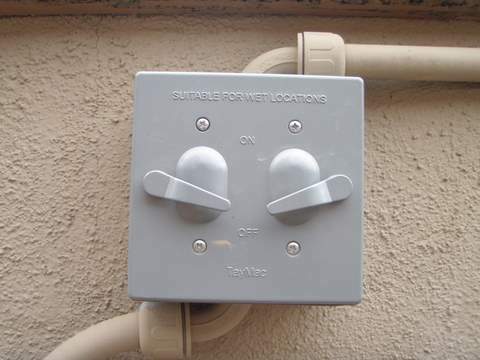 All outdoor electrical fittings and device boxes must be rated for outdoor use, installed with supplied gaskets and appropriate entrance fittings. Switches used outdoors must be protected with weatherproof covers and gaskets to prevent exposure to the elements. 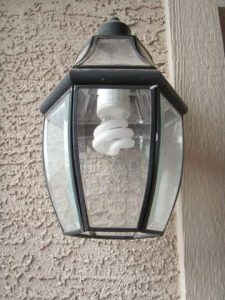 All light fixtures installed outdoors must be rated for, and approved for outdoor installation, and all gaskets provided must be installed and maintained in good condition. Make sure that the bulbs are rated for outdoor use as well. 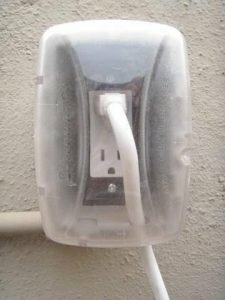 All receptacles and outlets must be rated for outdoor use and be fitted with the correct weatherproof cover plate and gaskets. Check your local jurisdiction for the specific requirements for weatherproof cover plates for receptacles. 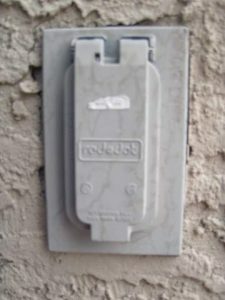 The National Electrical Code mandates that all outdoor receptacles be fitted with an in use cover plate. These devices provide protection for the outlet even when a cord is plugged into the outlet and are available in many styles. Not all areas have adopted all of, or even parts of the N.E.C., so again, it’s important to check with your local electrical authority. Make sure that you get the correct cover for the device box used, and that the cover provides protection for the orientation of the receptacle in either the vertical or horizontal position, whatever the case may be. All connectors and fitting must be approved for outdoor use and fitted with the supplied gaskets. Before digging any holes or trenches, always check for any and all potential underground hazards such as electrical lines, gas lines, telephone lines, cable television lines, water or irrigation lines. Many areas provide underground line location services, and damaging any utility lines without calling for locating services can result in injury or death, and if you’re lucky, only liability for the damage caused. After all locates are complete, and a thorough investigation of any other potential underground hazards, carefully dig your trenches and holes, and hand expose any line crossings manually if using equipment such as trenching machines or backhoes. When planning your trenches, take care to follow as straight of a line as possible, and make your corners as smooth as possible with a wide radius on bends. 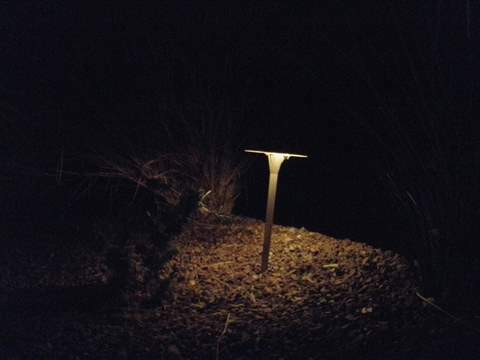 Check local code rules for the appropriate burial depth with consideration to what you are using, either conduit and wire, or underground cable, and whether under driveways or sidewalks, gardens, flower beds, or lawn. 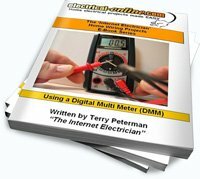 Outdoor wiring projects are no more difficult for the DIYer than projects inside the home, as long as you use the correct materials, follow the rules, obtain the permits, and have the job inspected as required. 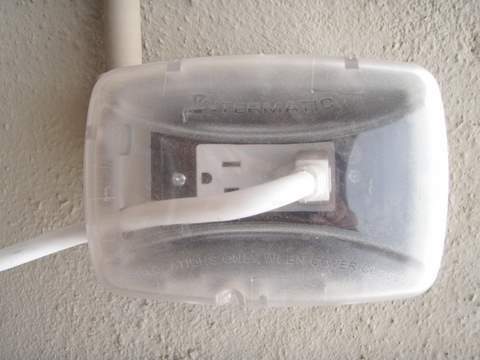 This entry was posted in Electrical Wiring, Outdoor Wiring and tagged boxes, cable, conduit, connectors, cover plate, device box, electrical, electrical wiring project, fittings, gaskets, home electrical, light fixtures, outdoor wiring, receptacles, switches, weatherproof receptacles, wiring. Bookmark the permalink.